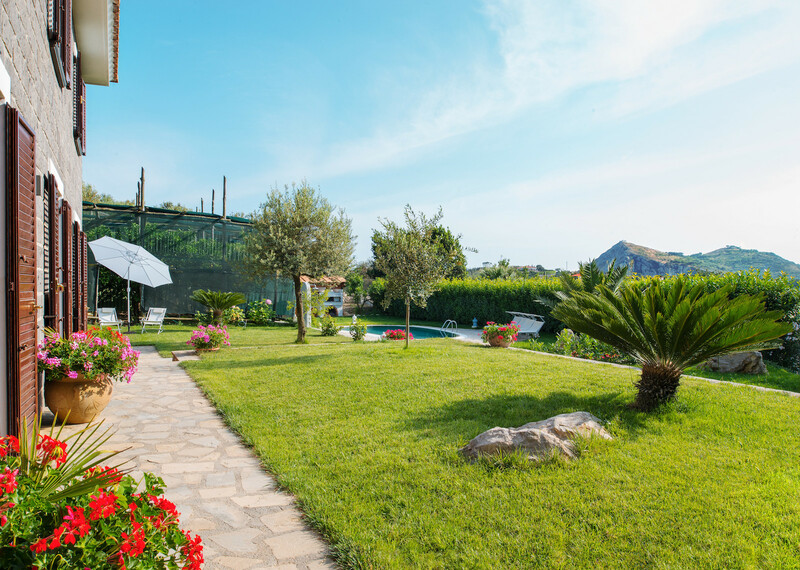 Nestled in the enchanting Massa Lubrense, a short drive from the beach of Marina del Cantone, Villa Mimosa is a delightful place to relax with family and friends. Sleeps 12. 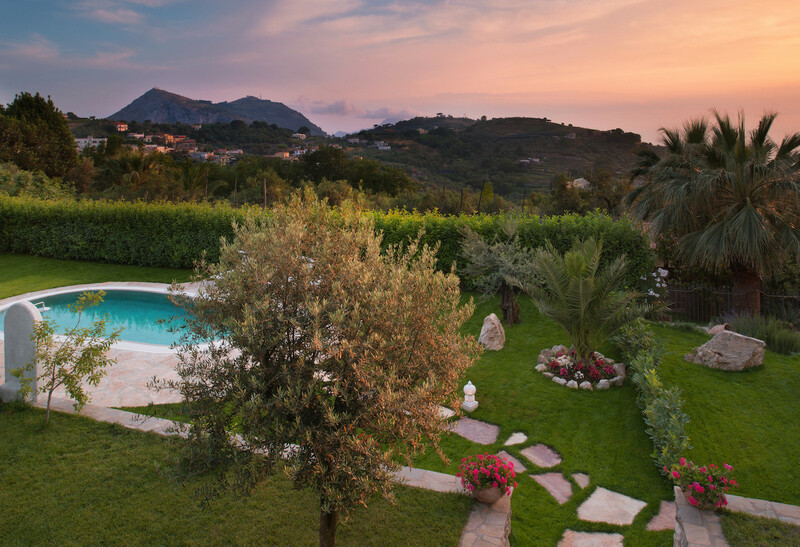 Villa Mimosa is an old farmhouse, and while you can see traces of its rustic past, it is now an enchanting property in delightful gardens, given over to tranquil relaxation, Italian dining and holiday fun. This rural property is a couple of kilometres from the pretty hamlet of Monticchio, which has restaurants, cafes and a grocery store. It is set around 500 m from the road down a narrow lane with parking for up to four cars. This property comprises two buildings, each with its own kitchen and living room; the larger has three bedrooms and the other has two. The buildings are connected via a pretty passageway or, of course, across the shared garden. Both houses have wifi. The larger house has air conditioning, the other has such thick walls that it remains a comfortable temperature, so air conditioning is unnecessary. 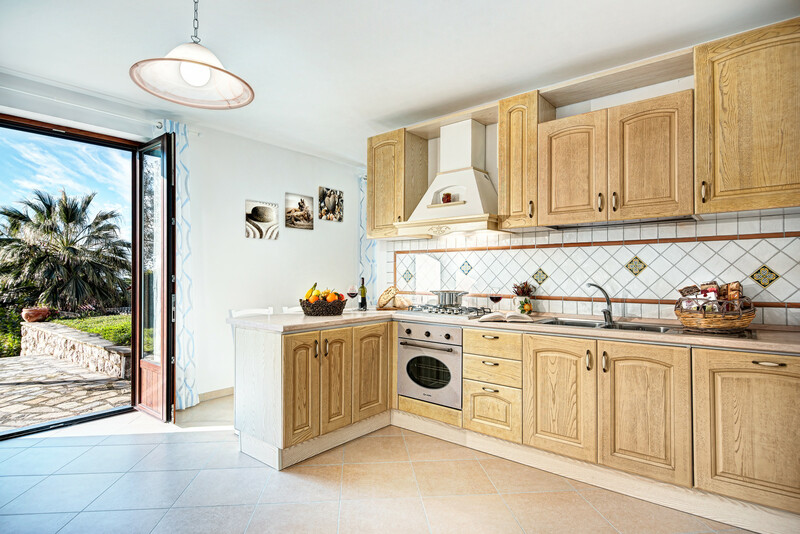 Each house has a well-equipped, modern kitchen. The larger house has a bigger kitchen, but both have plenty of space to prepare the region’s fantastic dishes and each has a hob, oven and dishwasher. 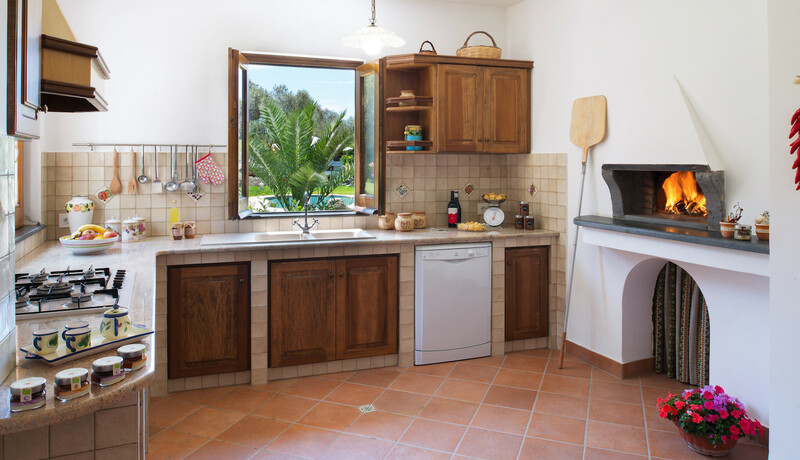 The smaller kitchen boasts its own pizza oven as well as a washing machine. 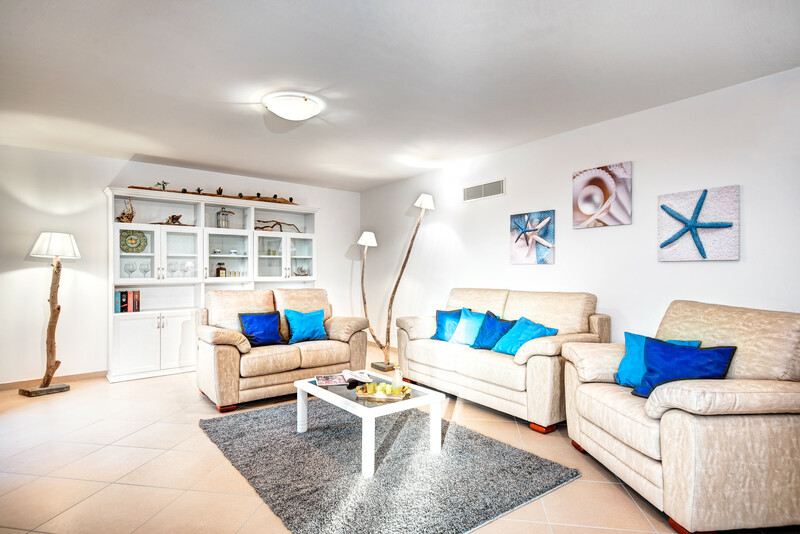 Both houses have gorgeous spacious living rooms, the larger with a huge flatscreen TV; the main house has a long dining table, in case you want to eat indoors; the smaller has a comfortable double sofa bed. 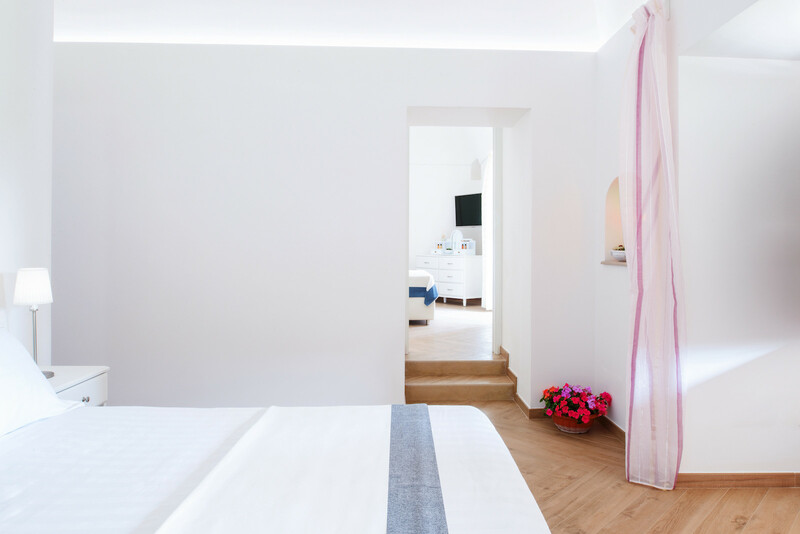 All of the rooms are painted a fresh white and are immaculate. 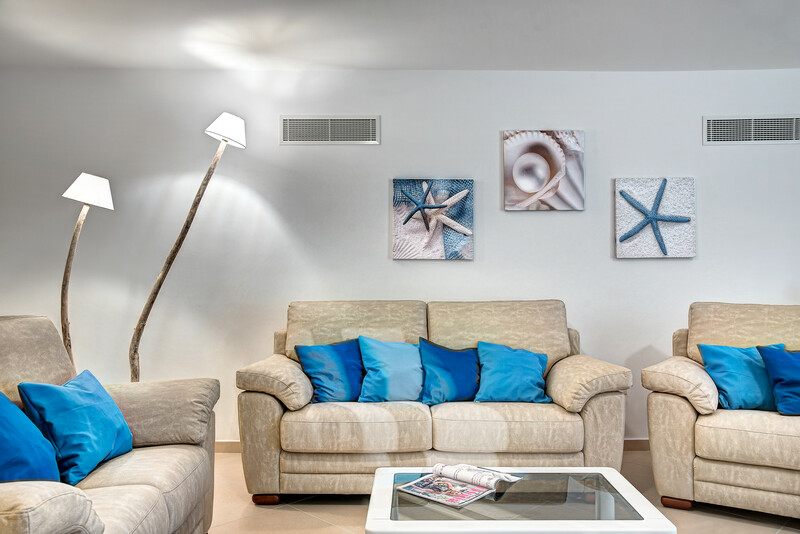 Furnishings and accessories are picked out in relaxing pastel tones and the feel is simple and elegant. 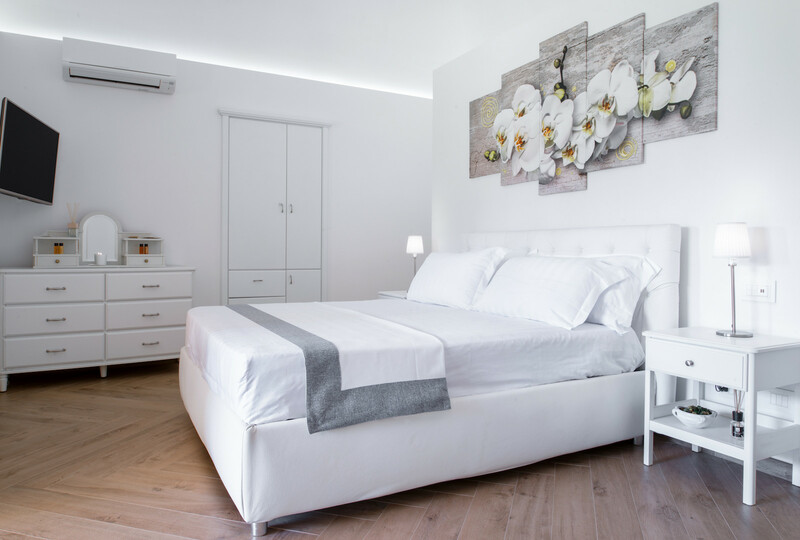 The capacious bedrooms have gorgeous wooden flooring and are fresh, white, modern and inviting. 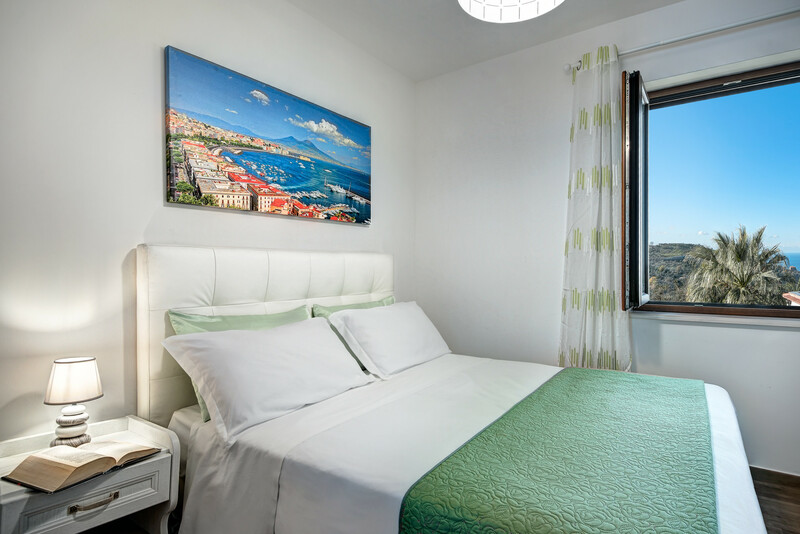 All have fantastic views over the sea or the hills. 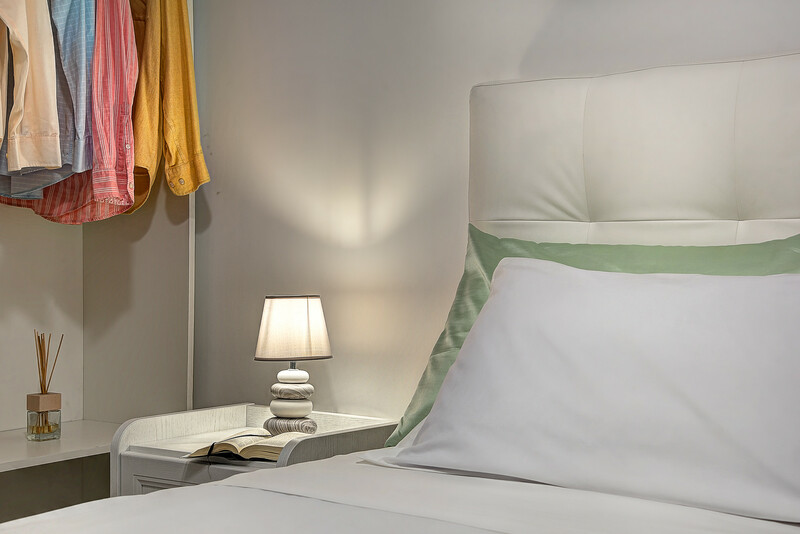 The beds are large doubles and made up in crisp, white linen. The bedrooms in the smaller house have their own TVs. 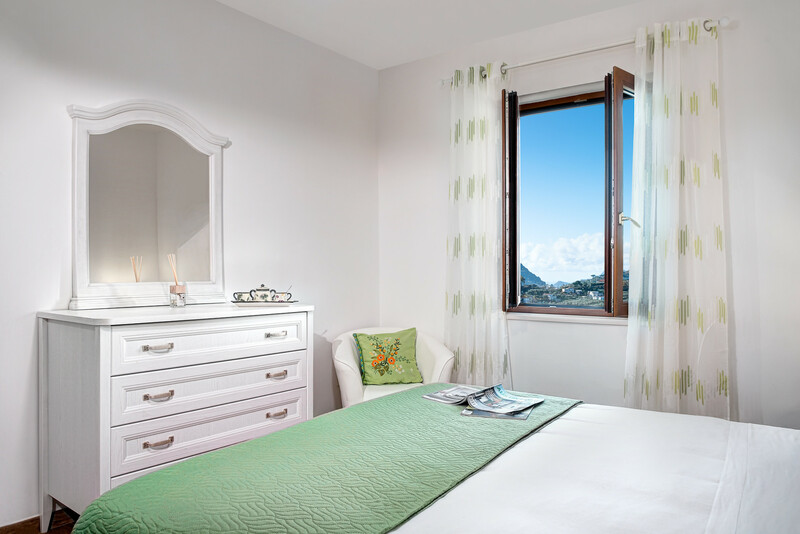 There is plenty of storage space and most of the bedrooms are en suite; some with shower rooms. 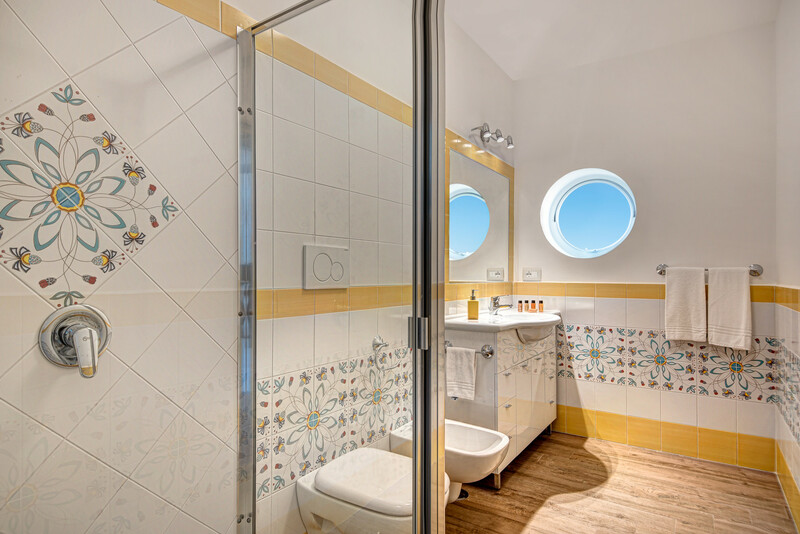 All the bathrooms are clean and bright, with gorgeous tiling. 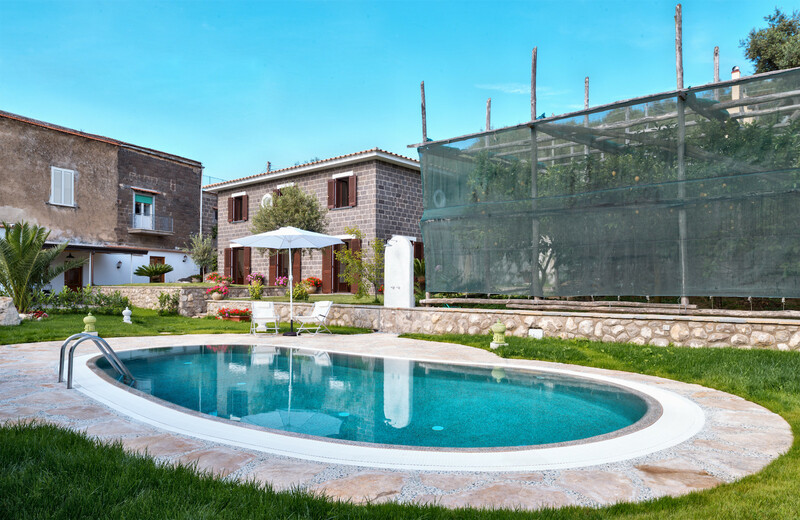 This fantastic villa is arranged around a beautiful garden, the centrepiece of which is the luxury pool with a hot outdoor shower nearby. 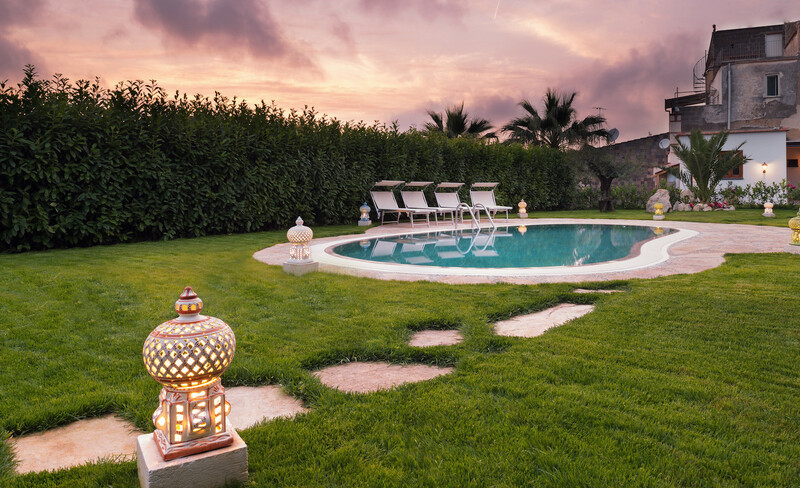 Moroccan-style lamps lead the way in the evenings via delightful stepping stones across the lawn to a dining area; a pizza oven, barbecue and table seating for 12 under a beautiful pergola. 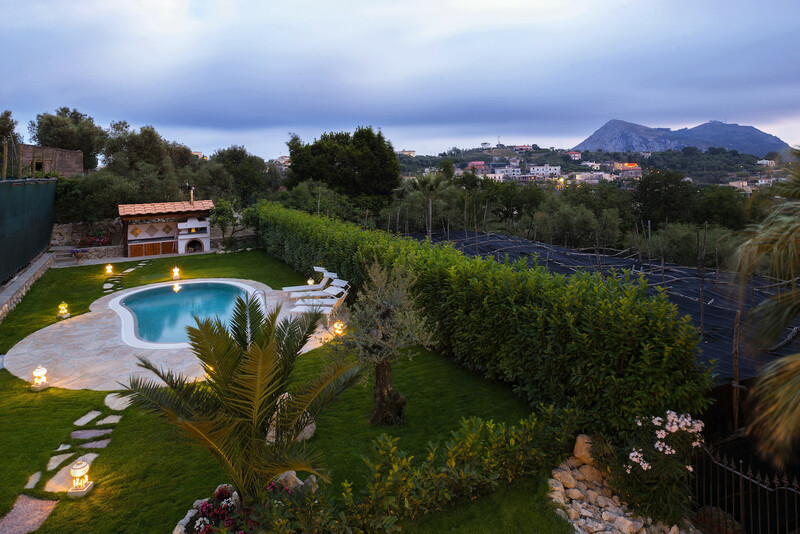 The villa and gardens are surrounded by greenery – trees, shrubs and pots of flowers and herbs. To the side of the garden is an ancient lemon grove – these days covered by ‘pergolato’ to allow the fruit to ripen. Enjoy the heady scent the citrus gives off in the heat while you admire the view. The rugged hills of Massa Lubrense offer amazing views of this unspoilt peninsula at every turn and are criss-crossed with paths and tracks through lemon and olive groves, making this fantastic walking country. 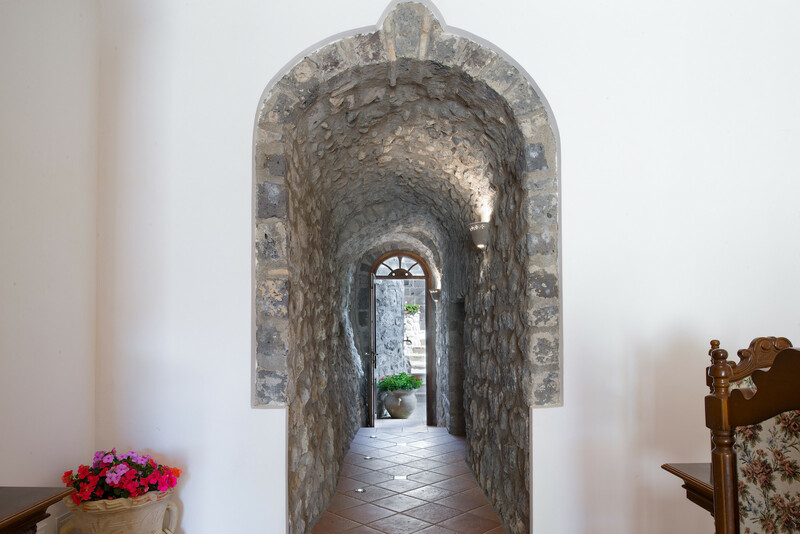 The villa is ideally situated to explore all of the stunning Sorrentine peninsula – from Positano and Amalfi to Naples, Mt Vesuvius and Capri – as well as its amazing hiking country, beautiful coasts and stunning villages and harbours. 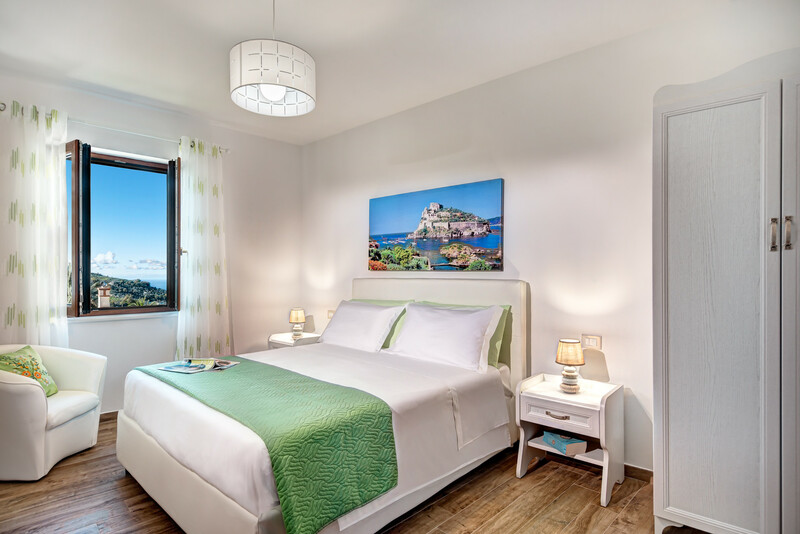 Whether you want a walking holiday, a base to explore the Sorrento Peninsula, or just a relaxing break in the sun, Villa Corinna has everything you need for an enjoyable stay. Villa Mimosa is a fantastic venue for a small wedding, baptism or other event. 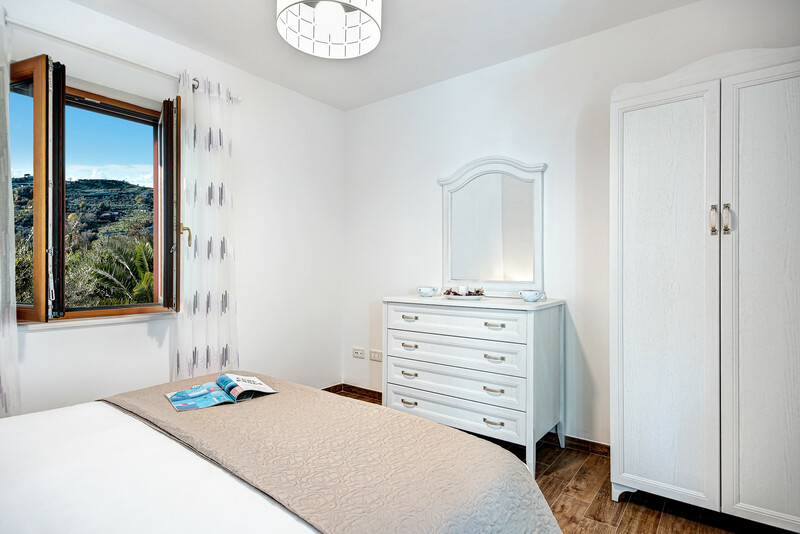 The experienced Feeling Italy team will be delighted to help make all your dreams come true! Contact us before booking to discuss what you would like, and we will quote you a price for the arrangements. 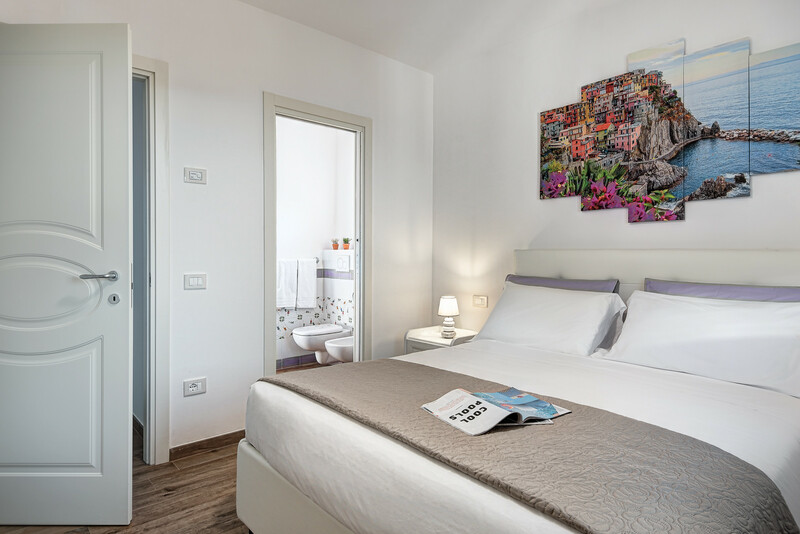 Please note that from 1st April to 30 October, the Municipality of Massa Lubrense applies a mandatory tax to temporary residents of €2.00 Euros per adult, per night which must be paid in cash on arrival. 5 Double beds, 1 Sofa bed double. 5 Bathrooms with shower, Hair dryer. 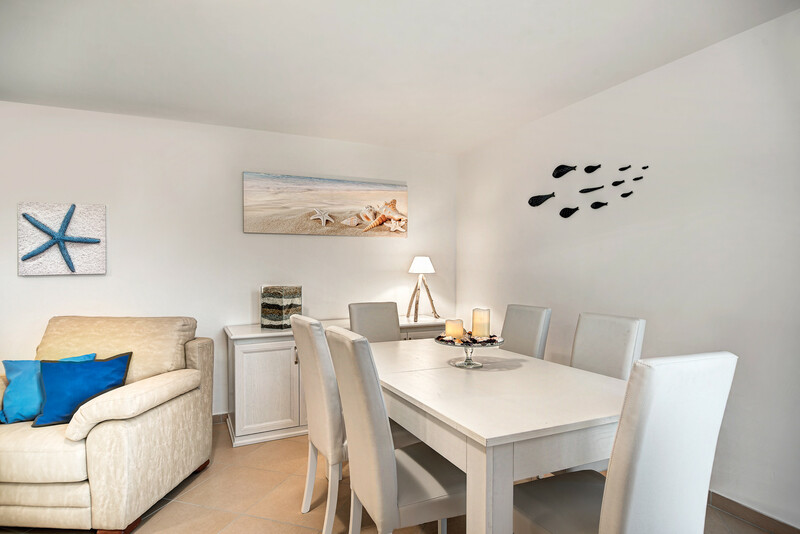 TV, garden, garden furniture, barbecue, iron, internet (Wi-Fi), hair dryer, 240 m² property, 800 m² plot, air-conditioned, private swimming pool, Open-air parking (3 places) in the same building. Spacious, clean, well equipped, lovely gardens & BBQ.